Support M600 Batteries and charging Can I charge my Polar device with another kind of USB cable or via a wall outlet? Can I charge my Polar device with another kind of USB cable or via a wall outlet? Your Polar device (Loop, Loop 2, M430, M600, V800, Vantage M, Vantage V) can be charged via computer only with the custom USB cable that came in the box. When charging via a wall outlet, use a USB power adapter (not included in the product set). If you use a USB power adapter, make sure that the adapter is marked with "output 5Vdc" and that it provides a minimum of 500mA. 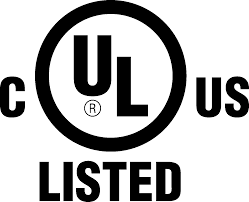 Only use an adequately safety approved USB power adapter (marked with "LPS", "Limited Power Supply", "UL listed" or “CE”). Do not charge Polar products with a 9 volt charger. Using a 9 volt charger can damage your Polar product. Polar GlobalSupportCan I charge my Polar device with another kind of USB cable or via a wall outlet?